Happy Thursday guys! I hope you’re all having an excellent week. Mine has been a little hectic as softball has officially begun and we are desperately trying not to fall behind on the house stuff but I’m plugging along. Today I figured I would share a mishmash of different things including some recent eats and a couple of house updates! I have been loving taking walks lately, both long and short, at home and on lunch at work. The neighborhood that we moved to has some killer hills and I’ve locked down a great 3-mile route that really does a number on my legs. I’m also enjoying my early morning walks in the center of town when I’m working from home and on the weekends too! We have been eating out quite a bit due to the house still being in the unpacking/pre-kitchen remodel stage but we have been using our grill and crockpot quite a bit and sandwiches have been a frequent occurrence. Luckily our eating out has been supplemented with gift cards that I’ve hoarded for a while and coupons so it really hasn’t been too expensive. 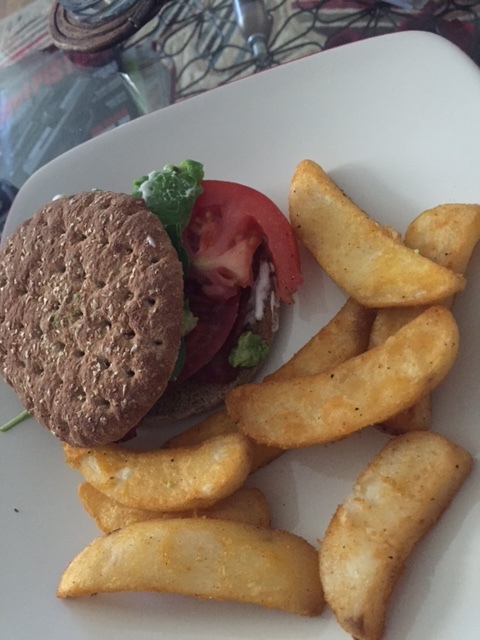 Breakfasts and lunches have been consistently made at home which is good. I love our nightstands from Christmas Tree Shop! I’m doing a new exercise program that our town is offering from now until the beginning of June. It’s called “Do a 180, Move!” and its provided by the Connecticut River Valley Chamber of Commerce. The program offers over 150 fitness classes at different gyms, yoga studios, etc in town. The classes offered range from spinning, yoga, boot camp, dance, tennis, running groups, swimming, walking and much more! For Glastonbury town residents who are non-members of the Chamber, the cost is only $40 and I’m already signed up for 12 of the classes. My first class is a boot camp tomorrow morning and I’m very excited! That’s all I have for you guys today but stayed tuned for a recap soon of a fabulous event that I attended a couple of weeks ago at the always wonderful Rooftop 120. Have a wonderful rest of your week and weekend too! 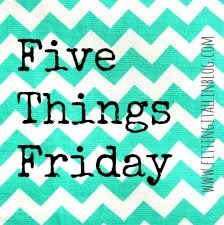 Five Things Friday: Can’t Beat it? Join It! Happy Friday y’all! I hope everyone had a wonderful week, or at least better than mine! Not that it was all that bad and I really have nothing to complain about but yesterday was just awful, including the fact that I spent a total of 2.5 hours in traffic to and from work. But putting my complaints aside, I’m here to share a few random thoughts with you guys. 1. 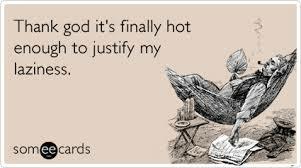 I couldn’t beat the heat, so I joined it! 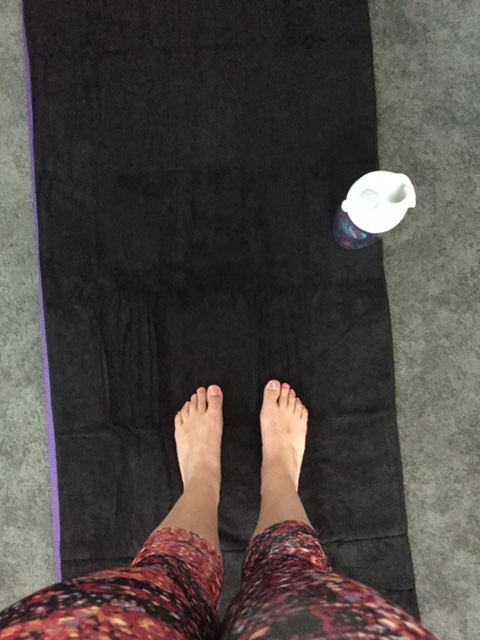 The title of this post is appropriately named because even though it has been very hot and humid the past week or so, I decided that it was a good idea last Thursday evening to take a Bikram yoga class. 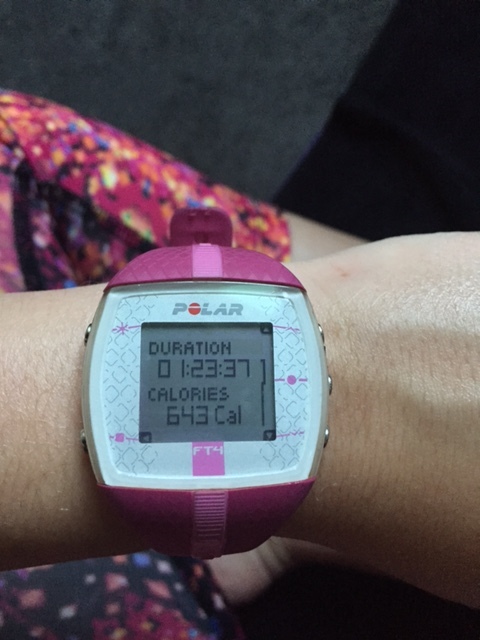 I felt like I needed a little detox before the weekend and I definitely sweated everything out! It was the most uncomfortable I have felt in a class since my very first one about two years ago. I am glad I finished it and I did feel better once I cooled down a bit. Loving my new yoga capris from TJ Maxx! I was pretty happy with that number since I wasn’t as active with my poses as usual. 2. French fries are my current food obsession. 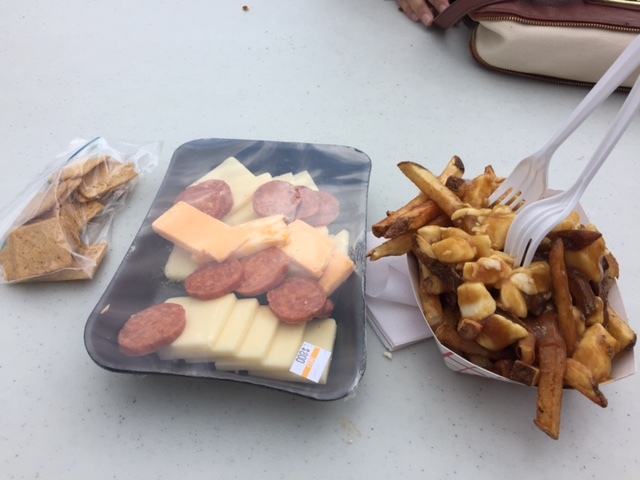 I have been enjoying my fair share of them during the past week including an amazing serving of poutine at the Connecticut Wine Festival this past Saturday and some Red Robin fries which we enjoyed at home the other night with our BLTA sandwiches. I think I have been loving them so much because the heat always makes me want carbs like crazy but luckily my workouts have been excellent this week so I’m not feeling too guilty about the carb overload. 3. This weekend is filled with all of the birthday celebrations! I’m SO looking forward to finally getting to see Alex after she has been away a bunch this summer and celebrate her birthday which was this past Monday. 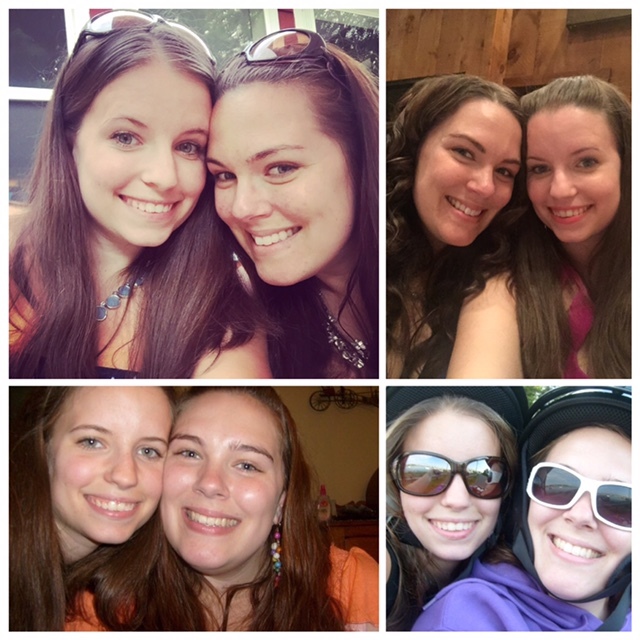 On Sunday we are celebrating another good friend’s birthday in Massachusetts which should be so much fun as I’m loving little day trips right now. 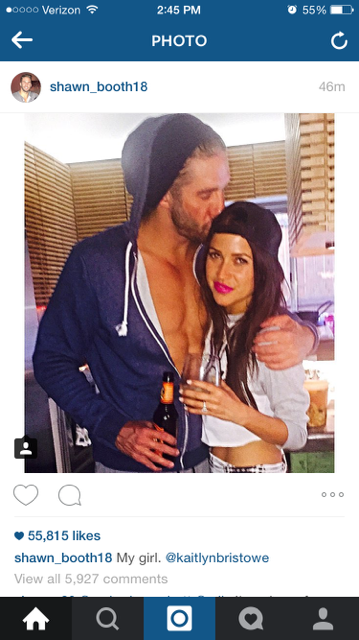 4. Who else was completed thrilled that Kaitlin picked Shawn on The Bachelorette? I definitely feel like she picked the guy with whom she had the best overall connection. I think they are the cutest couple and I’m enjoying following her on SnapChat and their adorable Instagram photos too. 5. I can’t believe tomorrow is August 1st! I know I’m reiterating what everyone else has been saying but this summer is flying by and our wedding is rapidly approaching. We have a lot to do and very little time to do it so I can’t promise you guys that I will be blogging a ton but I will try my best to post at least once a week.